Sufism is one of Islam's greatest gifts to the world. our thirst for beauty, and our compassion for others. and sky now called "science" in the modern university. explaining its relation to Islam and its twin virtues of presence and love. ​"Sufism is a discipline, a methodology, for enhancing and refining spiritual perception. The human being has a range of subtle faculties for knowing, the totality of which we can call the spiritual heart. The science of the heart is a science of qualities, not quantities. Through the heart we can know this existence qualitatively. Behind the beautiful images and met- aphors of Sufi poetry lies a systematic knowledge of spiritual perception. When Rumi, for instance, speaks of the Beloved, he is describing a qualitative relationship with Being. The heart is the core of our subjective experience through which we experience relationship with other living beings, and ultimately with Being itself. Ultimately, knowledge and love are not two contrary functions, but a synergy through which we discover this communion and intimacy with the Absolute." "Kabir Helminski is a sheikh of the Mevlevi Order, which traces its lineage back to Rumi. He is the translator of many books on Rumi, as well as several collections of Sufi writings. Helminski has toured the world, bringing the music of Sufism and the art of the whirling dervishes of Turkey to people everywhere. He is the author of two books on Sufism: "Living Presence" and "The Knowing Heart," and is the translator of Rumi's poetry collections, including "Jewels of Remembrance," "Rumi the Path of Love," and others. 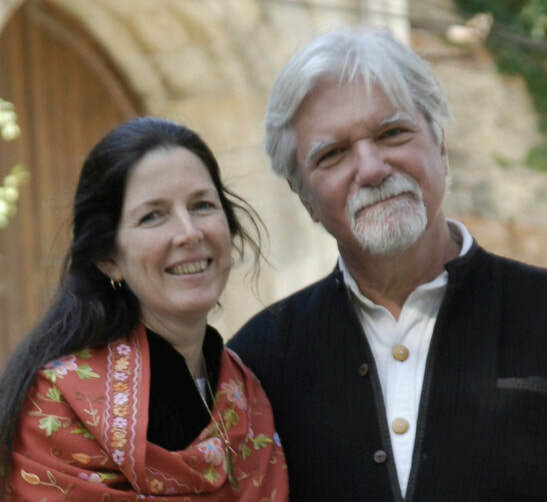 Helminski talked with Beliefnet's Islam producer, Rhonda Roumani, about Rumi, Sufism, and their connection to Islam. Read more by clicking here. What is it about Rumi's poetry that has made him so popular in the United States? The United States is an openly religious country, unlike Europe, where there is a lot more cynicism toward not only religion but even toward spiritual matters. Americans are a naturally openhearted and spiritual people. Our spiritual history--the Euro-Christian legacy--has been a legacy in which the direction of our humanness and the direction of religion seem to be pointing in opposite directions. And Rumi brings it back together by showing us that the way to God is through our humanness, through our brokenness. And only God dissolves our shame and helps us to know that we, God's creation, are profoundly loved. Islam makes every aspect of human life sacred. Whereas there are other kinds of religious understanding which suggest that the way to God is through the denial of our humanness and the overcoming of our humanness. The Islamic way is much more that we have an inherently good nature. We're not born with original sin. Muhammad (PBUH) showed a way to incorporate the highest spiritual attainment into a very human life. And this is frankly a pretty radical and new concept within the Euro-Christian tradition, where people have denied themselves and gone to monasteries and lived with the burden of sin. Rumi speaks to this sense that we have of our own human limitations, our own human unworthiness, and he convinces us that we are loved by God. Through the embrace of our pain, a spiritual door opens if we embrace that pain in the remembrance of God. So, Rumi is the voice of this unconditional love. He is willing to talk about his own pain, for instance--the pain of loving God, the pain of being human. He is honest. He touches our wound. He demonstrates how a human being can be the intimate friend of God. Rumi was a Sufi. What is Sufism, and how is it connected to Islam? Sufism is made up of several branches. We have no serious doctrinal differences between these branches, nor is one branch in competition with another. Sufism comes from tassawuf, which means purification of the human heart without which we cannot know God. As the Qur'an says, "Indeed in the remembrance of God hearts find peace." The end of the training process of Sufism is the spiritually mature human being. But we should understand that in every religious tradition, there are different levels. One level is the common practice of religion that they are typically born into. Within a religious tradition, there is also "the path" or "the way." The word for this in Islam is "tariqa." Tariqa is a conscious choice that a person makes to go beyond belief to "experience." It is different than nominally belonging to a religion. In Islam, there are many tariqas. Someone who walks the path of tariqa is a Sufi." When His light shines — without a veil — neither the sky remains nor the earth, not the sun, nor the moon. God embraces all…there is nothing that is not a part of him already. If anyone asks you about the huris, show your face, say: like this! If anyone asks you about the moon, climb up on the roof, say: like this! If anyone seeks a fairy, let them see your countenance, If anyone talks about the aroma of musk, untie your hair [and] say: like this! If anyone asks: "How do the clouds uncover the moon?" untie the front of Your robe, knot by knot, say: like this! If anyone asks: "How did Jesus raise the dead?" kiss me on the lips, say: like this! If anyone asks: What are those killed by love like?" direct him to me, say: like this! If anyone kindly asks you how tall I am, show him your arched eyebrows, say: like this! ​God is most Great! God is most Great! Hayya ‘ala al-salah. Hayya ‘ala al-salah. Hayya ‘ala al-falah. Hayya ‘ala al-falah.